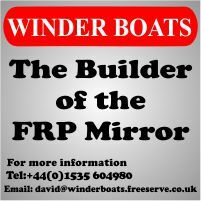 Over the years there have been many articles advising on how to improve your boat, here are a few. You can fill in the hole in the skeg and you can reduce it's size to the minimum permitted in the Class rules (currently rule 1.4.10). 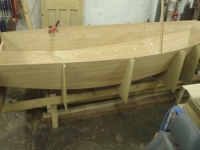 Don't forget the keelband has to run the length of the skeg up to the transom and it has minimum dimensions which thus limits the thickness of the bottom edge of the skeg. The current issue of the Class rules can be downloaded from the ISAF website by following these instructions. You can shape the ends of these and reduce their cross section to the minimum permitted in the Class rules (currently rule 1.4.9). As you can see from the rule, the central 915mm length has to be not less than 13mm wide and 9mm deep. Anything outside the central 915mm can be shaped as you like.